The RS-232C Serial /Parallel 1284-C Interface Card installs into the printer's PCI-based, Internal Solutions Port. It supports a standard RS-232C interface using a 25-pin D-shell female connector and a parallel 1284-C compliant interface using a 36-pin D-shell female, bi-directional connector. 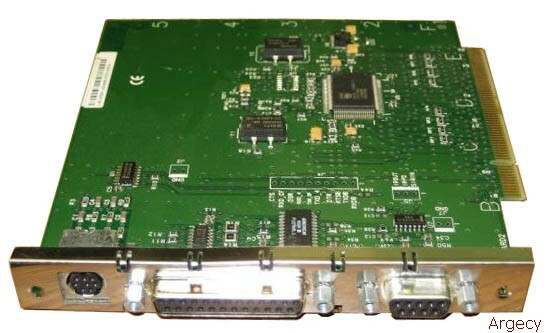 The RS-232C Serial/Parallel 1284-C Interface Card is for use with all models of the Lexmark C750, C910, T520, T522, T620, T622, W812 and W820 printers. It is recommended that a Lexmark RS-232 serial cable (P/N 1038693) be used to avoid compatibility problems. RS-422 is not supported. The Parallel 1284 C-B Adapter supports a 1284-C compliant 36-pin D-shell male connector and a 1284-B compliant 36-pin D-shell female connector. This adapter is for use with the RS-232C Serial/Parallel 1284-C Interface Card and a parallel cable with a 1284-B compliant 36-pin D-shell male connector such as part number 139605 (10') or 1427498 (20'). Serial -- utilizing a standard 25-pin D-shell female connector at speeds up to 115,200 bps. It can be connected to most systems that support an RS-232C or RS-422 interface. It is recommended that a Lexmark RS-232 cable (P/N 1038693) be used to avoid compatibility problems. Serial baud rates range from 1200 to 115,200 bps. Apple Macintosh or LocalTalk -- utilizing a standard 8-pin LocalTalk port for direct connection to an Apple Macintosh or LocalTalk network. Lexmark printers can be connected using a cable with an 8-pin DIN-8 connector available from Apple resellers. Infrared -- utilizing the Infrared interface requires the separate purchase and installation of the Infrared Adapter (P/N 44H0009). It supports I/R data transfer rates up to 4 megabits per second. Only one Infrared port can be active even if more than one Tri-Port Adapter is installed. The External Serial Adapter is installed on the printer's parallel port and is supported with Lexmark's business printers. This adapter receives its power from the printer via pin 18 through the parallel port. A serial cable is not included. The serial adapter utilizes a standard 25-pin D-shell female connector and supports baud rates up to 19,200 bps. It can be connected to most systems that support an RS-232C or RS-422 interface. It is recommended that a Lexmark RS-232 cable (P/N 1038693) be used to avoid compatibility problems. Serial baud rates range from 300 to 19,200 bps. For RS-422, 38,400 bps is supported. The 2400 Series Serial Interface is supported for use with the Lexmark Forms Printer 2400 Series and is installed inside the printer. A serial cable is not included. The serial adapter utilizes a standard 25-pin D-shell female connector and supports baud rates up to 19,200 bps. It can be connected to most systems that support an RS-232C interface. It is recommended that a Lexmark RS-232 cable (P/N 1038693) be used to avoid compatibility problems. Serial baud rates range from 300 to 19,200 bps. 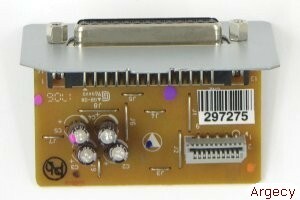 The Parallel 1284-B Interface Card installs into the printer's PCI-based, Internal Solutions Port. It supports a standard parallel IEEE 1284-B compliant interface using a 36-pin centronix D-shell female, bi-directional connector. 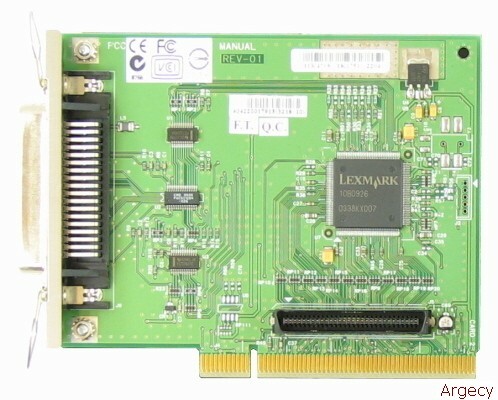 The Parallel 1284-B Interface Card is for use with all models of the Lexmark C752, T630, T632 and T634 printers. It is recommended that a Lexmark IEEE 1284 compliant parallel cable (P/N 1329605) be used to avoid compatibility problems. The RS-232C Serial Interface Card installs into the printer's PCI-based, Internal Solutions Port. It supports a standard RS-232C interface using a 25-pin D-shell female connector. 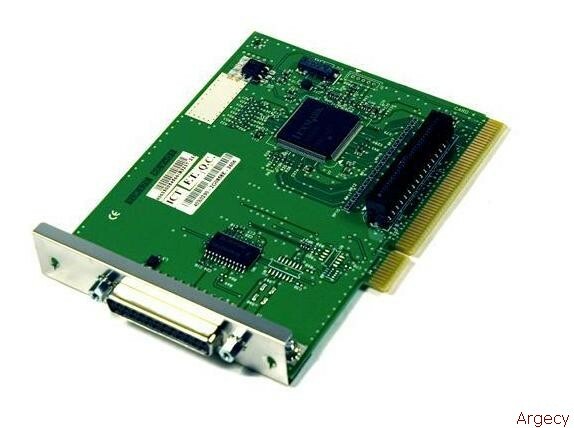 The RS-232C Serial Interface Card is for use with all models of the Lexmark C752, T630, T632, and T634 printers.